At its most basic, the Playbar is a nine-speaker soundbar serving as an all-in-one TV audio system. While it doesn't offer surround sound by default, it does eliminate the need for separate left, center, and right channels, possibly even a subwoofer -- optionally, a Sonos Sub and two Play speakers can linked for a 5.1-channel configuration. What really sets the Playbar apart is its phone, tablet, and desktop integration. Using the Sonos Controller app for the iPhone and iPad -- as well as Android, Mac, and Windows -- listeners can not only control the Playbar and group it with other Sonos devices, but stream locally-stored music, as well as online services like Apple Music, Spotify, Pandora, or TuneIn -- all without task-switching. There's something to be said for this approach. Not every service is as easy to control as it should be, TuneIn being a notable example, but that may be a fair tradeoff for people who would rather kill two birds with one stone instead of flipping between apps or peppering a room with separate TV and music systems. The Controller app is, in fact, essential to setup. For our review we used the iPhone edition, which guided us step-by-step through connecting the Playbar to a TV, to our local Wi-Fi network, and then to all of the supported services we could muster. One of the more unusual aspects of mobile setup is "Trueplay," which blasts pulsing sounds from the Playbar while users walk around a room waving their phone up and down. In theory, this helps tune audio to the particular dimensions of a space -- our testing produced good results in a modest-sized apartment with concrete floors, though we did initially find ourselves turning up the volume. We say "initially" because the Playbar can be fantastically loud, even at mid-level settings. We became worried about disturbing next-door neighbors, especially considering the unit's powerful bass. Pairing the product with a Sub and pair of Play speakers would frankly be overkill in most homes, never mind ones with thin walls. Thankfully the Controller app does include "Speech Enhancement" and "Night Sound" modes, which can make the Playbar more practical at low volumes. These only apply to watching TV however, not music streaming. In general we were pleased with the product's sound quality, which was clear at both high and low ends with easily discernible stereo panning. The Playbar's fidelity may not be diamond-sharp, but it's unlikely that too many audiophiles will complain. If there's any serious problem with the Playbar, it's just that it assumes owners have a fully modern setup. The only native TV input is optical (S/PDIF), and while there are a pair of Ethernet ports the bundled cable for them is quite short, nudging people towards Wi-Fi. And of course, its configuration and streaming options practically assume there's a phone or tablet nearby. We encountered an additional problem. While the Playbar can be configured to recognize IR remotes, our 2011 Sharp TV wouldn't let us completely disable its speakers, which resulted in internal and external audio levels going up and down at the same time. People with RF, Bluetooth, or incompatible IR remotes will have to rely exclusively on the Controller app or the soundbar's onboard buttons. In one sense, the Playbar sits in an odd middleground. Its pricetag may be too high for some, while "serious" home theater fans may demand (slightly) better. Nevertheless, the Playbar is a solid option for iPhone and iPad owners who want a single system for all their living room audio -- particularly apartment dwellers who may not have a place for rear channels, or would rather not box several speakers every time they move. The real question is whether to lock into the Sonos ecosystem or buy a soundbar that relies on more neutral standards like AirPlay, Bluetooth, or Google Cast. The Playbar costs $699 from Sonos with a free upgrade to 2-day shipping using promo code FRE2NDYSHP17. Third-party retailers like Amazon and B&H Photo Video also have the Playbar in stock for $699, with B&H collecting sales tax in NY and NJ only. Best Buy charges an extra 98 cents. The lack of HDMI for ARC (Audio Return Channel) is absolutely ridiculous for a $699 device. Which is why he had problems changing the volume. Should have a sub for that price too. It should have got 3/5. BUT this play bar is HOPELESS. Optical input was the way many, many years ago... but is totally out of date now. Any and every even half decent play bar now takes IN all hdmi inputs and OUTPUTS one hdmi ( with ARC ) to your Tv. There's all sorts of issues with what Tv can output proper surround sound channels over spdif/optical... and that is before the unmentioned complete lack of support for DTS audio... never mind the newer formats coming out. ( Why isn't this egregious omission mentioned in this 'review'?). Wait, so no hdmi ports AND only one toslink port? So you are only going to get 5.1 from digital broadcasts (TV toslink ports don't do 5.1 pass through). Which means plugging the toslink into different devices. That alone makes this a pretty dumb product for your living room for home entertainment unless you only want loud stereo audio from your tv. I think its it's a pretty neat speaker for network audio but is pointless as your home theatre audio. You would be better spending the 699 on a 5.1 or 7.2 receiver then the money you would have spent on the sub and speakers for the rear on a speaker bundle like the Onkyo Dolby atmos kit. In fact, for the total cost of the playbar, sub and 2 rear speakers you could get a full 7.2 thx setup. Pmsl. I have had various Sonos speakers since 2009, the most recent being a Playbar. I purchased the Playbar as l am beginning to have hearing issues in the mid frequency that resulted in difficulty in understanding speech. The difference for me with the Playbar is amazing. I can now perfectly hear every word spoken on the TV. With multi speaker setups Playbar can play the same music in every room or different music in each room. Another good thing to note is the great customer support from Sonos. I would put it on the same level as Apple's. If you have your music as MP3 s or other formats it is better to save them to a Net Storage Device rather than to a computer for playing on Sonos. There are plenty of music subscription services integrated such as Spotify, Amazon Prime and Apple Music. Sonos are not the cheapest but like Apple it's about working well, integration and the whole package. I love my Playbar. Up there in my top 10 favourite purchases of all time. No ARC makes the Soundbar useless to work with a TV - but isn't that what it is being sold to team with? Come on Sonos, you make some great products, why did you drop the ball on this one? Don't really get the difference between the Sonos Playbase and the Sonos Playbar???? Must be aimed at different markets as they are still selling both. Plus I wonder whether the ?new? Beats/Apple speaker will mean I'll move away from my Sonos speakers and stick to a pure  ecosystem. Time will tell I guess. Definitely not worth the money IMHO and that's coming from someone who owns 3 x Connects, Play 1, Play 3 and Play 5 and who definitely will not be buying a Playbar in its current form or price. If you're not in the market for a new TV you can also work around this issue with a number of inexpensive third-party switches. Graham'sNumber: The main difference between the Playbar and the Playbase is that the Playbase is designed explicitly for stand-mounted TVs, while the Playbar works with both stand-mounted and wall-mounted TV configurations. The Playbase has 10 drivers as opposed to 9 in the Playbar, but I don't know how this affects sound quality. The additional driver in the Playbase is a woofer, so if you're planning on also installing a Sonos subwoofer the difference is probably irrelevant. Also - I'd love to stick to Apple gear as well, but for the time being Apple/Beats doesn't offer anything like Sonos and I haven't seen any rumors of them planning anything either. In fact Sonos fills such an obvious gap in the Apple/Beats product portfolio that I'd be surprised if Apple didn't buy the company at some point. Cjcoops - regarding lack of DTS support, one way to work around this is to get a blu-ray player that automatically converts DTS to Dolby 5.1. I know Samsung makes these and other companies may as well. Note that you still have to have a TV that passes Dolby 5.1 from an HDMI port to the toslink port as I mentioned above, or a switch. I own the original playbar for my bedroom TV and it is great. Don't listen to people saying that it won't work with surround signals over optical and other technical incompatibilities. It's fine. I wouldnt suggest it as a main audio system in a real audiophile's theater room, but it's a huge upgrade to a secondary location, like a bedroom, plus adds a room to your Sonos system at the same time. Speaking of audio quality, used the playbar for a couple months as a standalone speaker while I finished construction of the bedroom addition it eventually lived in. It is a great speaker! Much better stereo than the other play-series speakers. Aside from my main stereo system in the living room, the playbar is the best sounding component of my Sonos system. This is another company that Apple should have bought. (And could perhaps still buy). Why would you review a product that is over six years old? Its no secret that the playbar must be paired with its wireless subwoofer to produce jaw dropping sound! Then when you add the small play1s as the rear wireless speakers, its a fantastic small apartment home theater system, probably the best on the market today. The equipment is rock solid, reliable and most importantly easy to use. Regarding the Dolby 5.1 surround signal - if the Sonos Playbar does not receive a true Dolby 5.1 signal from the TV (see my previous comment) then it will create a fake surround signal for your Sonos setup, which likely isn't what you want if you've spent this much money on the Playbar and maybe the additional speakers to create a 3.0, 5.0, or 5.1 setup. I do in fact use mine as my main audio system, but I live in an apartment and can't make very much noise. Overall you'll get more bang for the buck from a more traditional Dolby 5.1 setup, but if space is a bigger limitation than cost and you also want to avoid running cables everywhere Sonos is a great solution, in part because a Sonos Dolby 5.1 setup is wireless. Incidentally I think this is also why Sonos only supports Dolby 5.1 and not (uncompressed) PCM - PCM requires too much bandwidth to be transmitted wirelessly. Personally I think the tradeoff is worth it though. 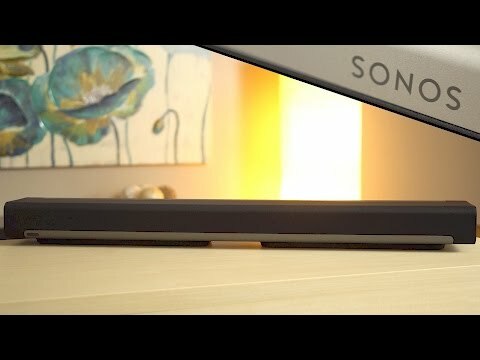 I got my original Sonos system with the Sonos bridge wireless transmitter and a Sonos Connect - because of its separate wireless signal, there was never any issue with dropouts, and setup was and is ridiculously easy - wether adding the app to your phone/iPad or connecting to the old Sonos remote - superb. The above list of appalling workaround and fixes for a badly designed sound bar is embarrassing. A modern design worth 700 dollars would use hdmi inputs, support dts, and the latest atmos and the rest ( like Yamaha sound bars and others) - it would then be brilliant.. wireless subwoofer and all. You could spend a bit more and get an Arcam Solo sound bar with great sound and clue about modern surround sound tv requirements. They have a 3 HDMI port version as well. If someone doesn't like the Playbar the BEST option for most people is going to be the Bose Soundtouch 300 with Sub. Here are some inexpensive options for the US market. Well, I'm assuming, but your link does state that it works with Sonos. So, if not this Sonos for a sound bar option at that price point, what do people recommend as options with HDMI and ARC? Bose Soundtouch 300 + Sub. It's the system people buy when they don't like the Playbar. Denon just announced a higher end Heos system with a bigger soundbar and sub but the Heos software has been more clunky that both Sonos and Bose. Denon does now have a sub $500 AVR with Heos built in. You mate that up with a solid soundbar from Klipsch or somewhere else and you get many of the advantages of multiroom.